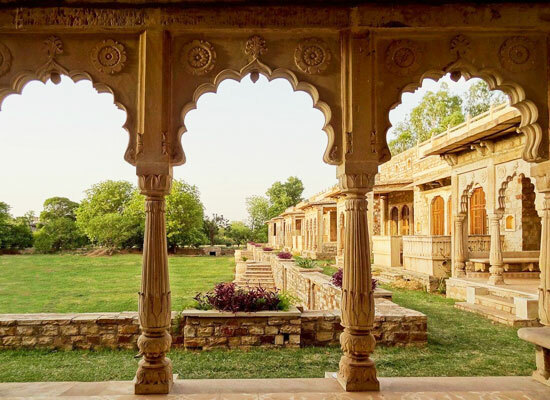 "Deo Bagh is one of the rarest of heritage hotels in Gwalior where numerous stunning historical artefacts are present within the hotel premises. The guests who come in here have a great time visiting the two 17th-18th century Maratha temple that are located here. It is one of the most unique accommodation facilities in the city. One stay in this hotel and you are guaranteed to cherish it for the rest of your life. 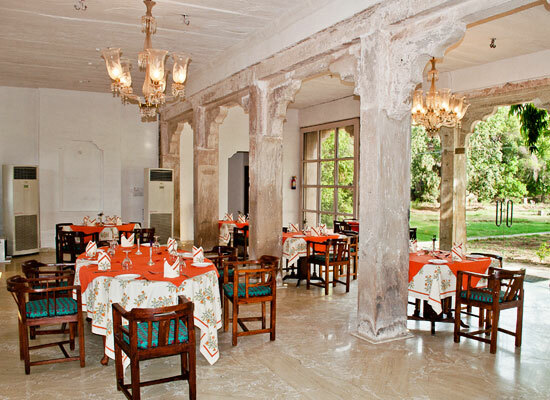 The history of Deo Bagh goes back to 1500 AD when Mughals used to live here. Sardar Deorao Bhausaheb Jadhav and his son Sardar Krishnarao Deorao Jadhav built this 'bagh' their summer house. 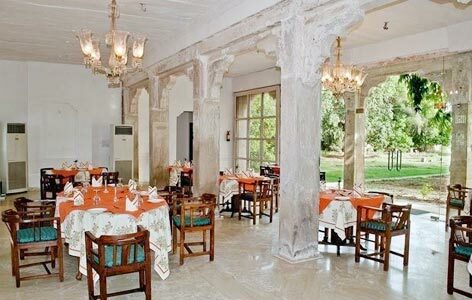 The Royal ladies used to reside within the section named as Deo Bagh, which is now converted into a popular heritage hotel in Madhya Pradesh. History suggests that discussion among significant leaders took place here during the mutiny of 1857. Sardar Deorao Krishnarao Jadhav along with his son, Sardar Dhananjayrao Deorao Jadhav and wife, Ranisaheba, lived in here after 1954. It was converted into a hotel in April 2012. 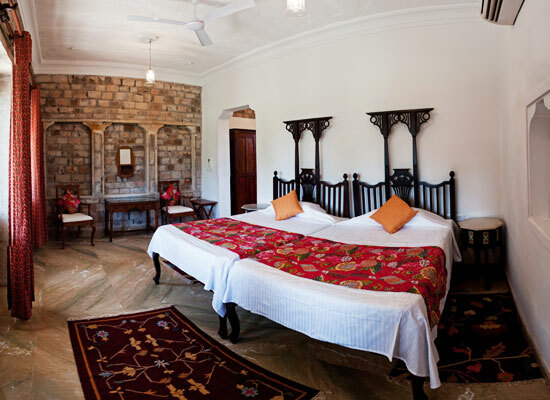 All the 15 rooms in this heritage hotel of India are designed uniquely with much attention given to décor and interiors. The views of Nau Bagh from each room are simply glorious and make one stay in this hotel truly serene. The rooms are categorized as Heritage Simplicity, Heritage Sepia, Heritage Suite and Heritage Splendor. One of the most historically significant cities of India, Gwalior is the capital of Madhya Pradesh. The city is mainly known for housing the majestic Gwalior Fort which is a major tourist attraction here. It is touted to be one of the largest cities in Central India. Gwalior is often called as the “The Heart of Incredible India”. The city has made notable mark in the field of art with Aasutosh Panigrahi and five other artists creating the World's Largest Indoor Mural in the year 2005.